It looks like we may soon have another local option for craft beer and food enjoyment. 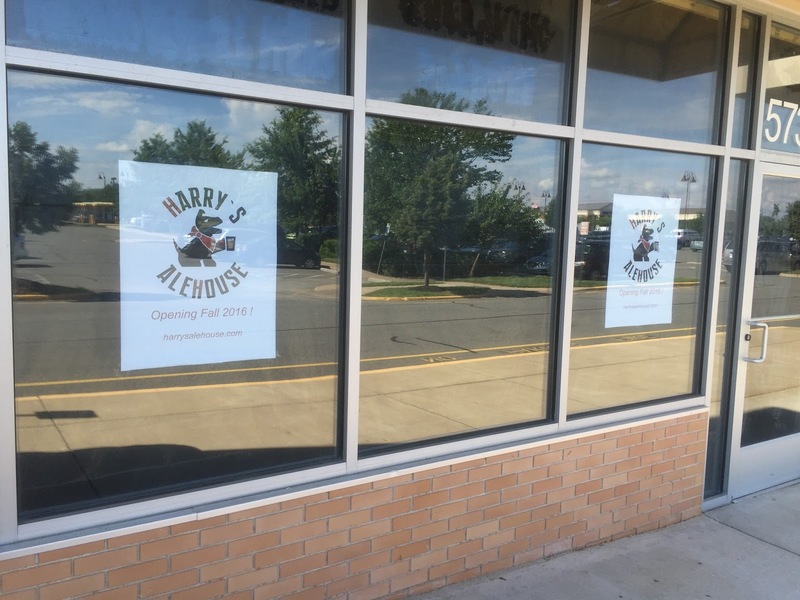 Signs announcing "Harry's Alehouse Opening Fall 2016" have appeared in a nearby shopping center. Neither their web site or Facebook page have much in the way of details yet. When I stopped by one afternoon the windows were all blocked off and I couldn't look inside. Obviously, I'll keep checking. The location was once the home of Bridges Brick Oven Pizza, which closed five years ago. To finally see something coming to the empty space is good news by itself. A spot promising "a family friendly restaurant with some awesome food and great beer" is even better news, especially in this mecca of fast food chains. This is great news... Almost walking distance! Hopefully it will carry real craft beer! Yea, we're excited to have something close by too. I'm watching for more specifics on the beer options!